The Tables Turned: Book Review - "The Distorted Mirror: Stories, Travelogues, Sketches"
Book Review - "The Distorted Mirror: Stories, Travelogues, Sketches"
This book review is for "The Distorted Mirror: Stories, Travelogues, Sketches" by the most revered and loved cartoonist of our country R. K. Laxman - the man who chronicled India's first sixty years of independence from the point of view of a 'common man'. His cartoons spoke all that an 'aam aadmi' ever felt. But what the larger population doesn't know is his prowess as a writer. And I will give you a partial idea about that in this post. A good warning for all is that I am a devoted fan of Mr. Laxman (pardon me for referring to him that way; it's a really bad habit of mine to call my favourite authors sometimes like this! ); and thus, I might be a bit more elaborate on his good side. I will try to be equally critical of his shortcomings (thanks to Amal for advising me to do that). The book has an easy, lucid language. Extensive readers might guess from his writings that his style exemplifies typical Indian English but, as I feel, as long as it remains a pleasure to read and that depends on the content, newness, etc., that is never the problem. But as you move to his travelogues, the power of a brilliant observation made strikes you in a better way this time, and you can appreciate the strong imageries of 'Laxman-flavour' in a better way here. The descriptions are authentic, personal, the reminiscences powerful and witty. My first great moment of pleasure came as I was reading his travelogue 'Darjeeling', and just a page later suddenly encountered a happy observation- "How similar are his observations to me!" And that connected a chord. So, I will go into a bit extensive detail about his travel pieces. Please skip the next four paragraphs if the narrative gets too boring to be digested without medicine. As I was reading 'holiday in the islands', I was transported back to the days when Laxman visited, when the tourism of the Andaman and Nicobar islands were lost in oblivion after the British left. I could almost smell the moist grass, tread on the forgotten, mossy islands where forgotten leisure houses gloated in their ruin. What an amazing descriptor! No doubt that his cartoons could speak. No doubt he is a legend. While writing of Australia, even though I know that my reflections on visiting the same sketches, if I ever visit them, would be different, I can still agree and ponder on with his outlook, impressions, writings of the untouched blue of the isolated continent, of the enthusiastic gold miners of leisure hours, and of old millionaires of the sheep. His pen is almost visual with the flair and confidence of an established cartoonist who is damn serious and honest in his witticisms. Of Mauritius and Kathmandu, his pen describes all that would be evoked in the mind of any 'Indian-ish' Indian. The surprise of a familiar ancestral Tamil speaking French-accented English, the descriptions of nightmarish corals that give you the creeps, the king typhoon unsettling the peace till it is forgotten in a cycle of stormy aftermaths. All remind you a bit of yourself taking these impressions as if it were you in the tiny island country. Also the parting where he is filled with a necessary grief born out of an experienced intuition showing the fate of an ever-desired industrialisation that would secure but kill the paradise of a now vulnerable nation dependant only on the sweetness of sugar-cane farming and its friendly people; but he is still hopeful, maybe very pessimistically as he dreads the shadow that kills his imagination to play with the clouds, as he boards the plane to return to India. For Kathmandu the nature of impressions are his amusing musings after overcoming the initial shock and disgust. How a king's courtyard is filled with grass sellers and dogs reminding him and the reader of India! How foreign tourists are fooled and sold the idol of goddess Tara that to them becomes the Buddha! :/ He almost always is chuckling darkly and so are you. But still the observations of a similar Indian are much more favourable of a Kathmandu than its pretentious casinos and nightclubs. You agree, don't you? But Laxman is at his best and magnificent at his sketches, for a less obvious thing his literary sketches. The charismatic caricaturist is at his best framing those sentences, especially if the sketches are describing a political creature, or a humble hypocrite or simply a bored commoner for whom both the aforementioned caricatures are as true and real as the next day. His writings show us the potential of a cartoonist and a political satirist who is honest and funny in his views, narrations and sketches. The humour, satire and the wisdom in choosing those are the superlatives of that class. 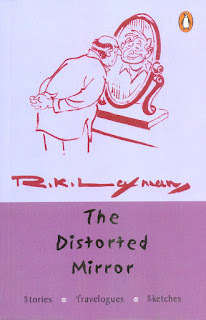 I have fallen in love with his writings of a caricaturist-turned-writer while still retaining the effortless, visible humour, irony and satire of that brilliant observation-ist and comparision-ist alive in every sentence . The metaphors, direct comparisons are just too great to be missed. Literature isn't just great words or grand sentences, but something new and brilliant of an idea to offer to the existing mass, and our dear Mr. Laxman does that seamlessly. The last piece of this collection is a caricaturist's self-reflection. He vividly recalls what is the impression of the impressionist, what questions he is asked and how he replies. He also ponders along deep whether and to what extent his profession as a cartoonist has effected his outlook. Though it does less to ease the effects of rising prices of onion or the irritation of sticky jams but having a frame of humour in mind perhaps does a lot to ease the journey. And that funny, witty but serious and satirical journey of one hundred and sixty pages were one of the fastest and most amusing that I have ever had. The read is very light but not forgettable. A 'Laxman-flavour' definitely stays with you and impregnates your outlook. Hail the cartoonist and his witticisms! Hail Mr. R K Laxman, his pen, his mind and his observations! 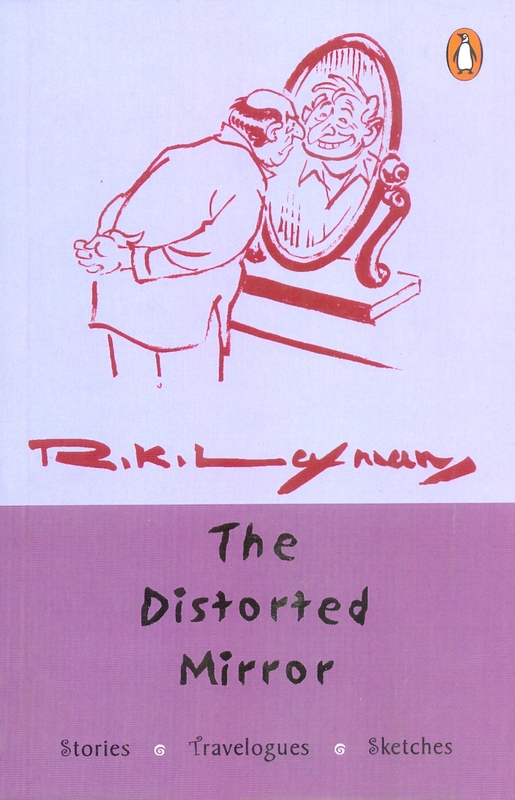 I will give R. K. Laxman's "The Distorted Mirror: Stories, Travelogues, Sketches" 4 stars.